My family – we are movie lovers. It’s become a tradition to hop on a plane and hang together over a long winter weekend in Salt Lake City, Utah. To celebrate films and to revel in the sometimes edgy, complex and often peculiar independent voice of Sundance. The festival spans across categories: US Dramatic Competition, Premiers, Spotlight, World Cinema Documentary Competition and New Frontier. There’s a big beautiful catalogue with a short description for each movie – but as indie film making goes, movies wrap days before the festival and things change after the catalogue goes to press. Bottom line – choosing what to see is highly intuitive. It’s also a spectacularly entertaining horse race – movie deals are made and big wigs like Harvey Weinstein come with their bank rolls and begin 10 days of acquisitions. As they did with TWENTY FEET FROM STARDOM, a story of backup singers in popular music (Weinstein’s first purchase of the festival) – or IFC Doc division scoring THE SUMMIT, a harrowing account of scaling K2 – and Showtime Cinema picking up the Alex Gibney documentary HISTORY OF THE EAGLES – multiple offers and million dollar financing turns an independent film festival into a high-stakes power-play. In the end, it is the indie spirit that makes me smile. 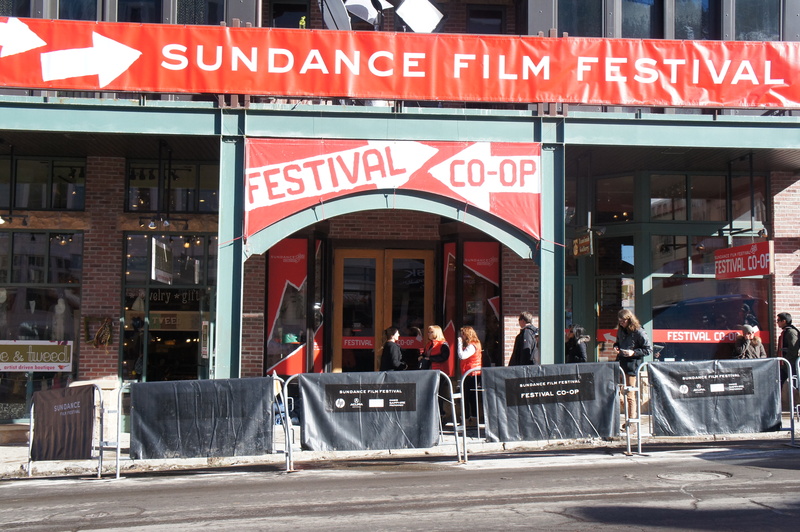 Founder Robert Redford states that Sundance started as a mechanism for the discovery of new voices and new talent. A a close knit team of artists, activists and friends fused together by a fierce vision and a story – driven by a stick-to-it-tiveness that defies all odds. As was the case with KILL YOUR DARLINGS – an eleven year film making odyssey about the less explored chapter of the Beats, directed by John Krokidas and co-written with his bestie Austin Bunn. Awe. Brilliant. Really, really brilliant. This entry was posted in Essential Dish, Uncategorized and tagged Don Jons Addiction, Janice Hoffmann, Janice Hoffmann is life coaching, Kill Your Darlings, storytelling, Sundance film festival 2013, The Square. Bookmark the permalink.